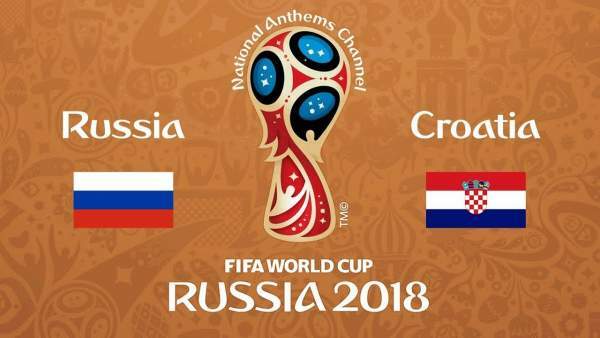 Russia vs Croatia is the final quarterfinal match of the FIFA World Cup 2018. Saturday, 7/7/2018 is a doubleheader with the first game, Sweden vs England played at 7:30 pm IST. The winners of both the matches played today will face off each other in semifinals. The host, the Russian team has got a high confidence after beating Spain in Round of 16 with the help of penalty kicks. And Croatia has reached this stage after defeating Denmark on the penalty basis. Both the teams don’t have any major injury concerns for now. The host’s confidence will rise further with the return of midfielder Alan Dzagoev. He has been declared fit to play the rest of the matches in the tournament. However, he may get to start on the bench as Denis Cheryshev is likely to be favored over him. RUS v CRO WC 2018 match is to be played at Olimpiyskiy Stadion in Sochi in Russia. It will start at time 2 pm ET / 11:30 pm IST. The live stream of Croatia vs Russia will be available on SonyLIV.com, SonyLIV app, Fox Sports Go app, FoxSports.com, fuboTV. The same will have the live telecast/broadcast on FOX, Telemundo, Sony Ten 2, Sony Ten 3, Sony Ten 2 HD, Sony Ten 3 HD, etc. The most watch World Cup sports event is heading towards its final game. Spain was regarded as one of the favorites to win this edition’s trophy but got defeated by Russia. Then, the host lost to Uruguay but managed to bounce back. Croatia is likely to end up the winner ending the dreams of host country reaching in the semifinals. Croatia 2, Russia 1. Both the teams have emerged as the dark horses of this summer’s world cup tournament. Let’s see who get to book its place in the semifinal. They have already performed better than the expectations. It will be interesting to see them play further in the competition. The winner will get to face off either Sweden or England in the semifinals. Russia XI: Akinfeev; Fernandes, Kutepov, Ignashevich, Kudryashov; Zobnin, Kuzyaev; Samedov, Golovin, Cheryshev; Dzyuba. Croatia XI: Subasic; Vrsaljko, Lovren, Vida, Strinic; Rakitic, Brozovic, Rebic, Modric, Perisic; Mandzukic.